WEDDING BELLS RING AND FAMILIES COME TOGETHER FOR CALLIE AND ARIZONA'S BIG DAY, ON ABC'S "GREY'S ANATOMY"
"White Wedding" - As Callie and Arizona's wedding approaches, the couple quickly realize that the day they've been looking forward to is not turning out the way they'd envisioned. 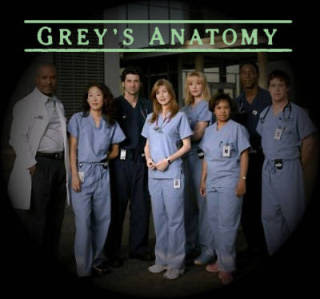 Meanwhile Alex continues to make the other residents jealous as he appears to be the top contender for Chief Resident, Meredith and Derek make a decision that will change their lives forever, and Dr. Perkins presents Teddy with a very tempting proposition, on Grey's Anatomy," THURSDAY, MAY 5 (9:00-10:01 p.m., ET) on the ABC Television Network. Guest cast includes Peter MacNicol as Dr. Stark, James Tupper as Andrew Perkins, Denis Arndt as Colonel Robbins, Hector Elizondo as Carlos Torres, Gina Gallego as Lucia Torres, Judith Ivey as Barbara Robbins. "White Wedding" was written by Stacy McKee and directed by Chandra Wilson.